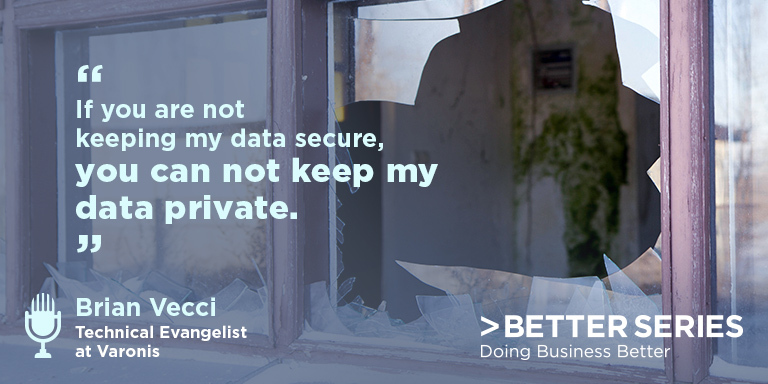 Cybersecurity and data privacy are not one in the same. If this is news to you and you are a business owner or leader, we encourage you to listen in as Technical Evangelist, Brian Vecci of Varonis teaches us the difference. This National Cybersecurity Awareness Month, we are reminded that in today’s marketplace, data is a prized possession that businesses should treat as such. Learn how it is done!